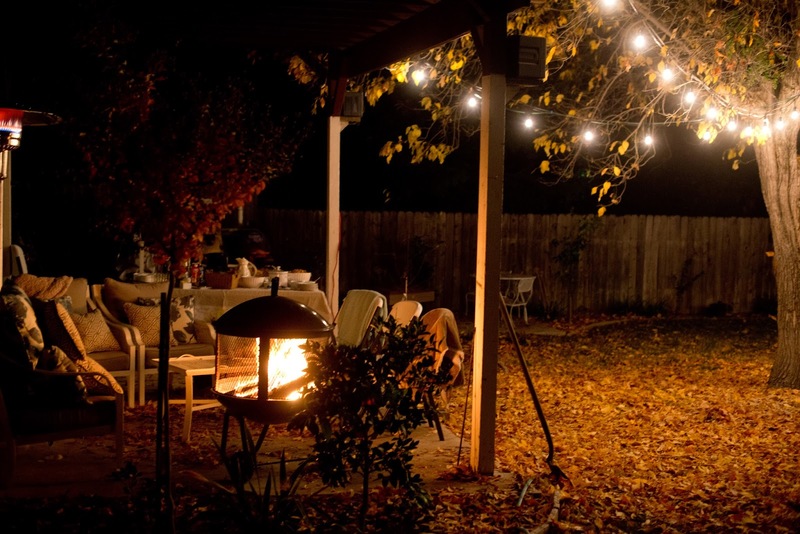 Hosting barbeques and backyard parties is a classic way to entertain in the warm summer months. It’s a great way to kick back and relax. Grilling and barbequing is a unique method of cooking that many people love to use all year round as well. For things like frying, you can’t just cook on the grills themselves though; you’ll need some variety of cookware. Cast iron is a great choice. 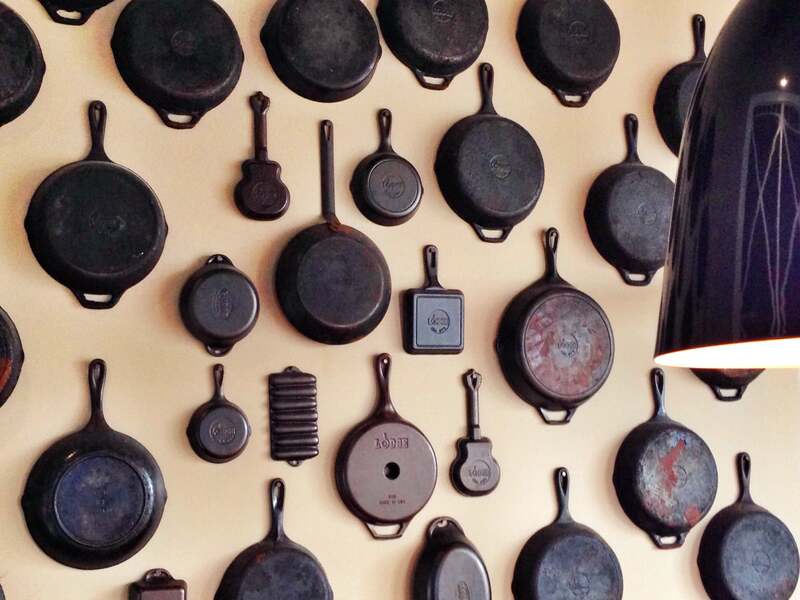 Cast iron cookware comes in all shapes and sizes – from a tiny 2” sauce pan to a 15” skillet to 5-9QT dutch ovens. 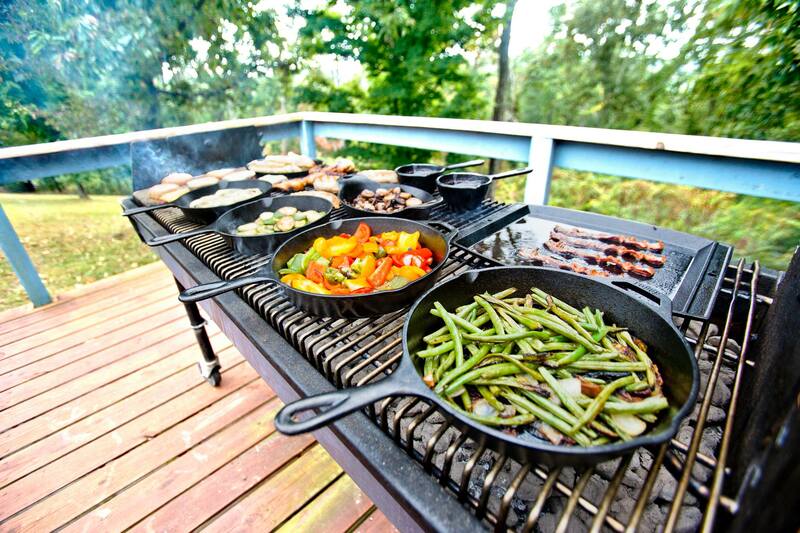 Skillets, dutch ovens, griddles, and grill pans are the most common forms of cast iron. 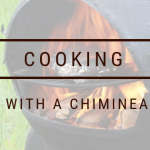 It’s extremely durable and resistant to high heat so you can use your cast iron cookware to cook or bake almost anything outdoors for just about any type of meal. The seasoning on cast iron gives it it’s black colour. 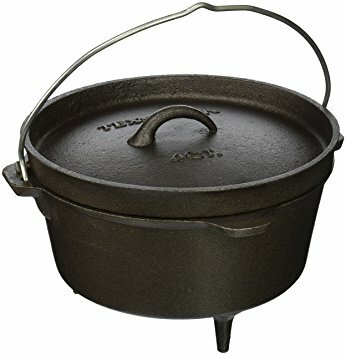 Skillets are great for many methods of cooking such as stir-frys, pan-fried chicken, baking cornbread, frying hash, simmering pasta sauces, or making shakshuka. Other things you can cook in a cast iron skillet on an open flame include fish, frittatas, fried eggs, bacon, or dutch babies. 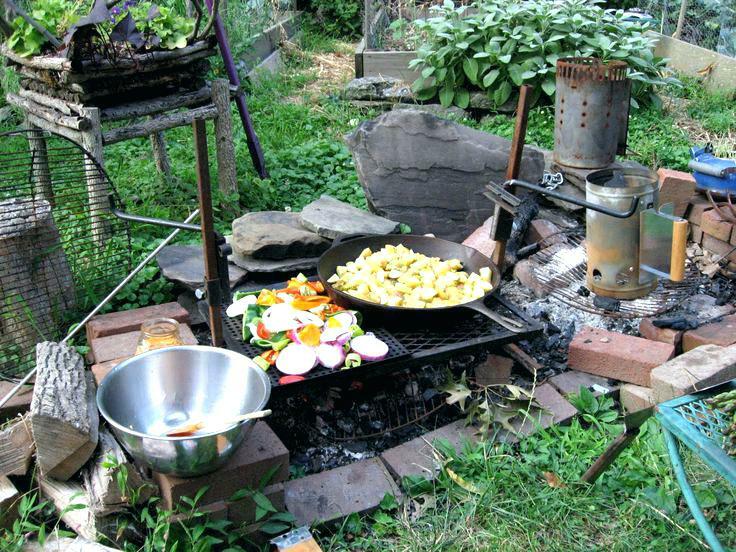 You can really use the skillet outdoors on a grill or coals to cook anything you’d want to cook indoors on a stovetop. A lid will let you bake with the cookware as well since the cast iron will provide an even heat and hold the heat well. 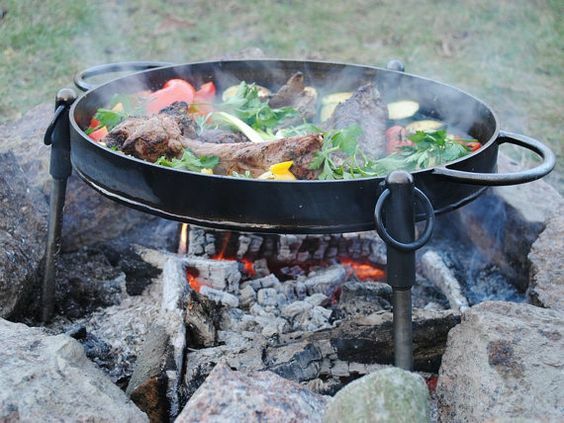 Dutch ovens, sometimes called camp ovens, have multiple uses. They work well as pots or slow cookers for foods such as stews, chili, and stuffed peppers. They can also be used as small ovens for baking by placing hot coals on top of the lid to provide even heat to the inside. For this it is best to have a lid with a lip to hold the coals. You’ll also want a lid lifter and long tongs for the coals. Griddles and grill pans are popular for roasting vegetables and frying bacon. They’re especially good for making pancakes since the cast iron will heat evenly and you won’t get hold or cold spots. Just like any other type of cooking make sure you’re using long handled utensils so that you don’t get burned from the fire. For cast iron, you shouldn’t use metal utensils. 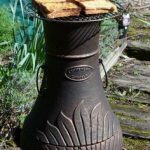 Usually wood or plastic tools are recommended but for outdoor cooking we recommend wood. 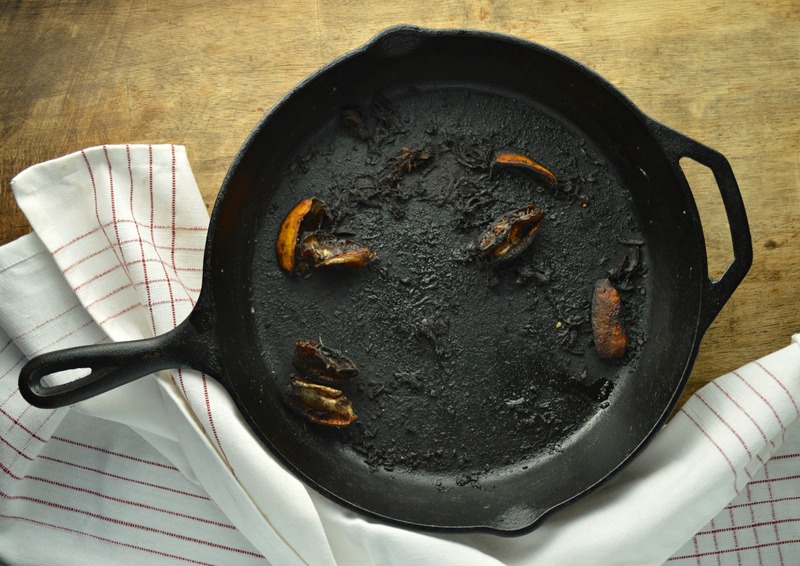 As well, don’t expose your cast iron to drastic heat changes such as trying to wash a hot dish with cold water as the temperature difference can result in your cast iron cracking. Cast iron has been gaining in popularity again in the last several years. Its versatility and durability among other great qualities make it the perfect choice for cooking outdoors in as well as for use inside the home. It can easy go from stovetop, to oven, to on top of an outdoor grill, to being used as a small oven in a fire pit. Unlike other non-stick pans cast iron can be used with high heat. 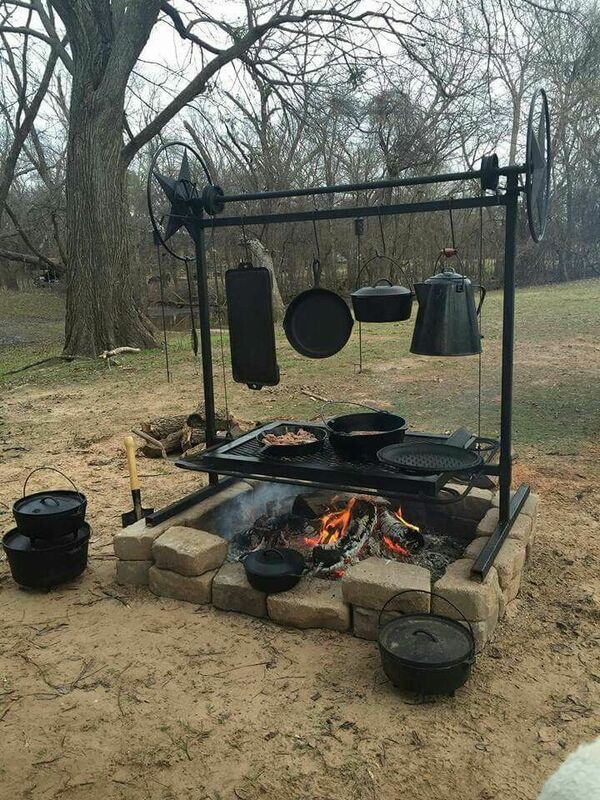 This makes it perfect for cooking outdoors. 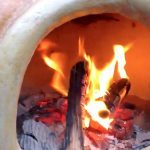 You can place it directly over the flames, on hot coals, and even cover it with hot coals. 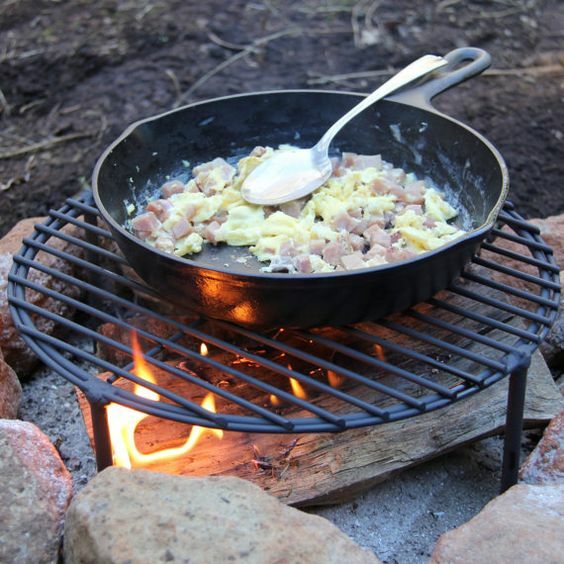 The cast iron will heat evenly too which gives you a nicer cook and lends itself well to a variety of cooking methods. One of the top benefits of cast iron cookware is that you won’t wear out your cast iron. The cast iron won’t bend, dent, and warp like an aluminum pan. 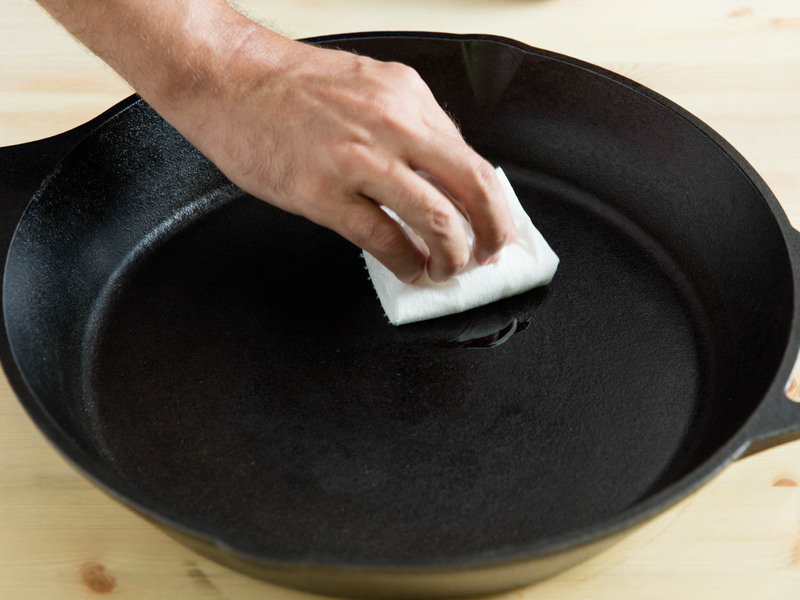 You won’t have to worry about damaging or wearing out your non-stick coating to the point of finding little black flecks in your food either with cast iron cookware if you take proper care of it. This makes it great for the health conscious who don’t like or trust other types of prefab nonstick coated cookware. Cast iron cookware is naturally non-stick when it’s well seasoned and taken care of properly. Just make sure you never leave the cast iron wet or it will rust and make sure to maintain the seasoning. Most cast iron you can buy will come pre-seasoned but you’ll want to re-season it and to maintain it regularly yourself. Some recommend seasoning even pre-seasoned cast iron when you buy it. Seasoning is simply covering the cast iron in a protective coating that protects it from rust and provides a wonderfully non-stick coating that makes it a joy to use for cooking. Multiple thin layers of fat that bond to the metal and become a hard blackened layer provide this coating, called a patina. Seasoning is simple and easy to do, especially if you get in the habit of doing it regularly. 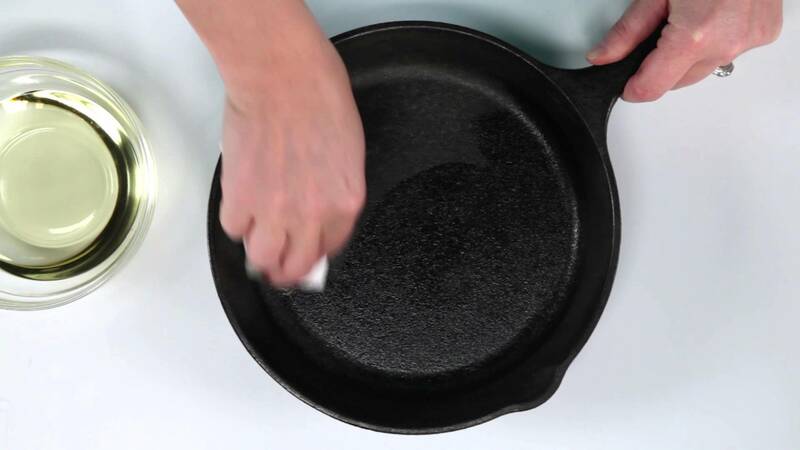 Despite what you might hear, cast iron is simple to care for and easy to clean. Just make sure its free of food, completely dry, and well seasoned and you’re good to go. Give the cast iron a good scrubbing to get it clean either of food or factory stuff. You can use a non-stick safe scraper here to get food off if needed. Then dry the cast iron thoroughly. 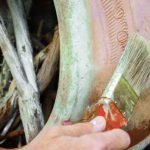 Heating it on a burner for a minute or two is always a good idea to make sure there’s no residual moisture that can cause rust. Rub the cast iron with a good cooking oil like vegetable or canola oil, shortening, or lard. You won’t need much at all. You’ll want to rub the oil in all over the inside, outside, and handle of the cast iron. Keep rubbing it in until the cast iron isn’t greasy at all. Any extra oil that could gather in a droplet or puddle will create an uneven finish so be sure to not use too much to begin with and to rub it in well. You can always add more oil if needed. The goal here is to create a very thin layer. Bake dish in a preheated oven at 325 for an hour or 450 for half an hour. The dish should be upside down so that if any oil does drip it will drip out of the dish. A sheet of aluminum placed under the dish will catch any drips. If this is your first time seasoning the dish or if it was in dire need of re-seasoning, repeat steps 2-3 three or four times to get a good layer of seasoning. Turn off the oven and let the dish cool completely before removing. It should have a hard shiny layer of black that isn’t greasy to the touch. 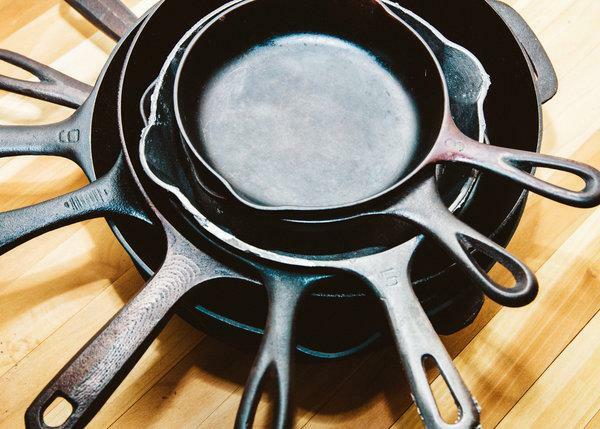 While skillets, dutch ovens, and griddles are the most popular types of cast iron cookware, you can find a variety of novelty and special-use cast iron widely available. Among the most popular are teapots, novelty cornbread pans, pizza pans, and cornbread slice pans. Bakeware such as loaf pans, muffin tins, pie pans, and aebleskiver pans are also available. Cooking irons come in a variety of shapes including square, double square or rectangular, round, and pocket puff. 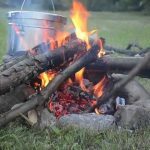 No matter what you want to cook outdoors be it on your barbeque, in your chiminea, in your backyard fire pit, or on a campfire you can find the right cast iron cookware for making delicious food easy.